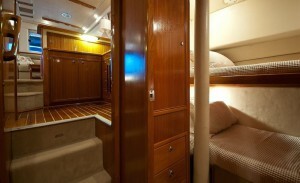 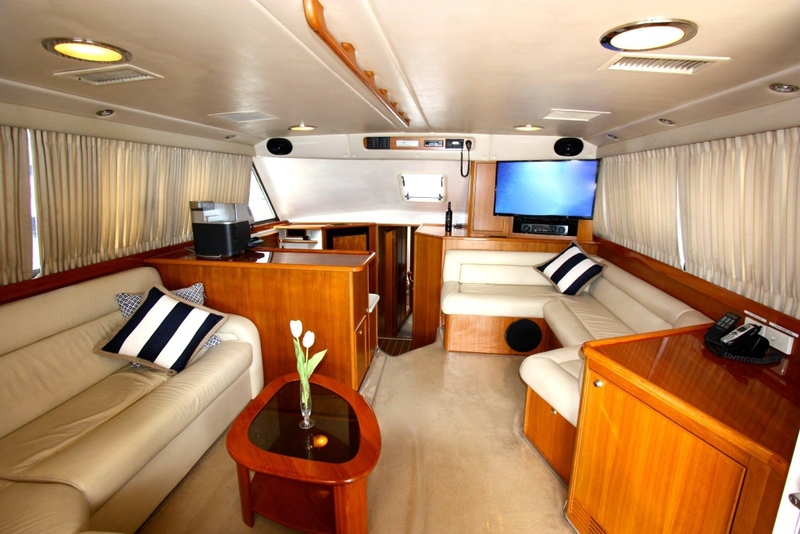 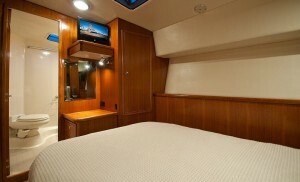 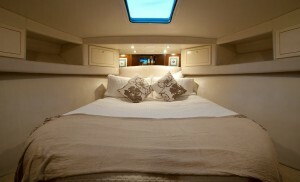 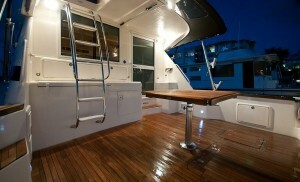 A luxury cruiser that has been custom designed to include three open plan areas providing larger groups with space and comfort. 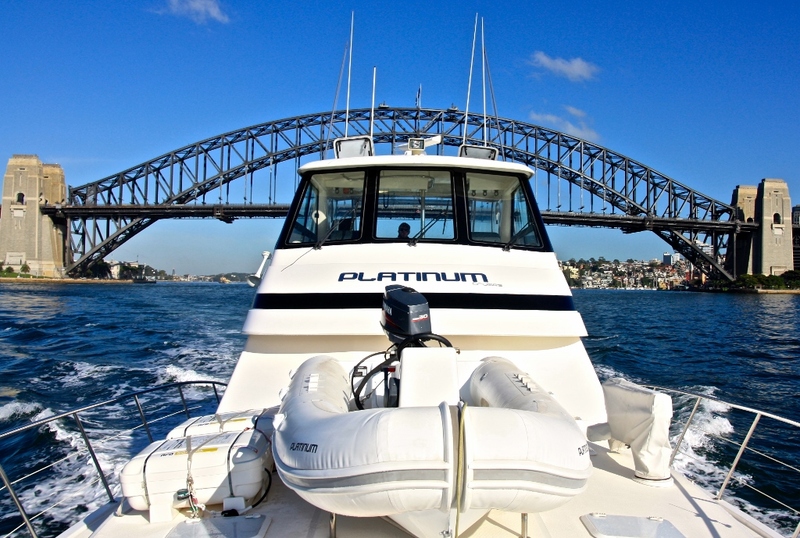 Platinum features an expansive interior, with 2-oversized leather lounge areas as well as a fully equipped galley, air-conditioning and quality sound system. 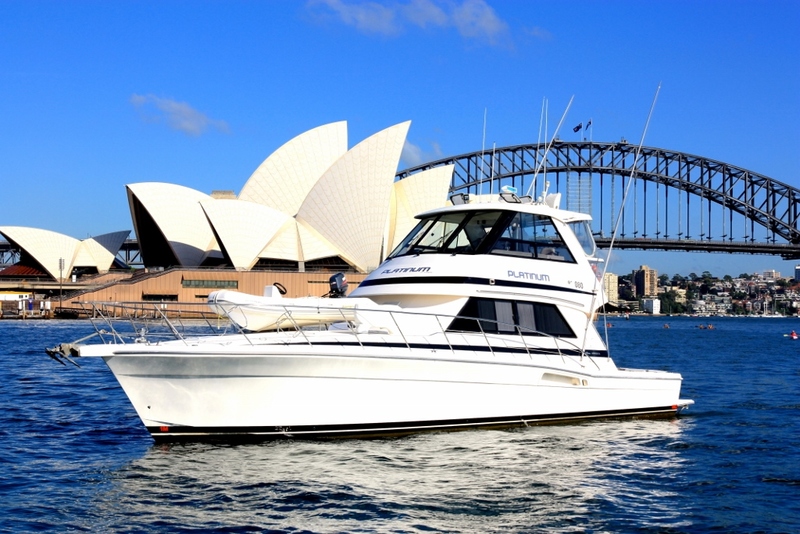 The large rear deck can have a table for formal dining for up to 8 guests, and the forward deck is expansive with sunbeds and perfect to relax and take in Sydney’s breathtaking Harbour. 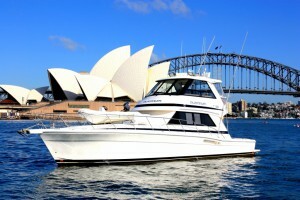 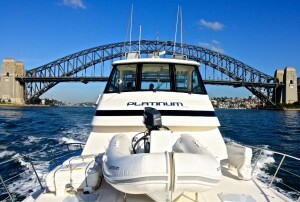 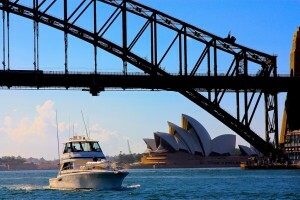 There is optional use of a 3.8m tender for shore excursions to one of Sydney’s many secluded harbour beaches. This Platinum Riviera hosts three bedrooms – a master wth en-suite, a second queen cabin and a third bunk cabin – perfect for the weekend getaway.